I'm very behind in my posts. 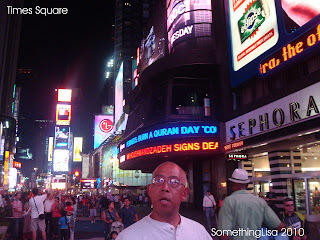 I never finished posting about the wonderful time we had in New York. Or the cute kitty we adopted after we got home. 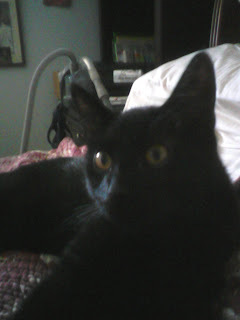 We named him Mister Eko after a character in Lost, one of our favorite TV shows. Despite these relaxed poses he's a very active cat, full of mischief and definitely deserves his own post. 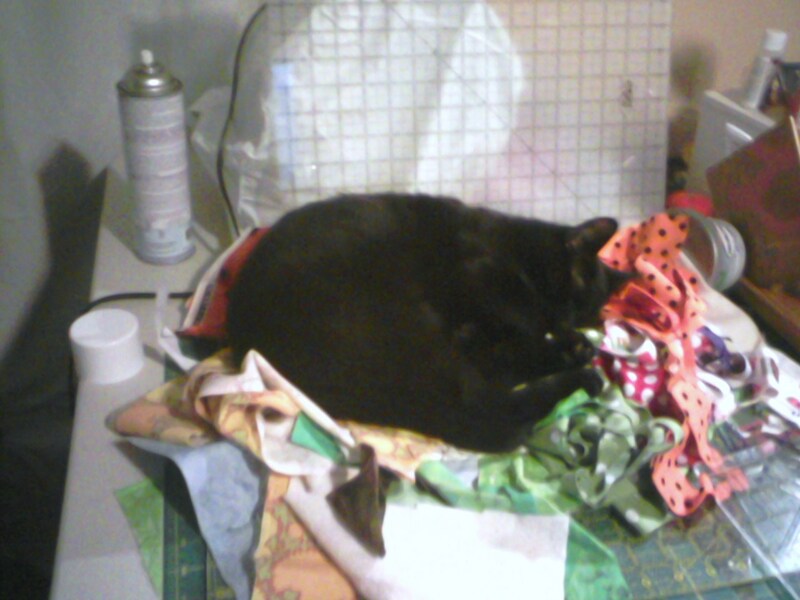 Mister follows me around the house and when he isn't helping me sew he relaxes in my fabric piles. 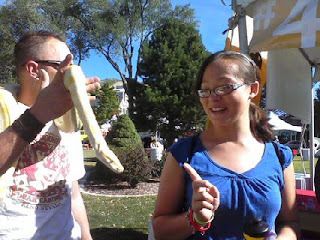 And then there was the Health Fair that I attended with one of my daughters. 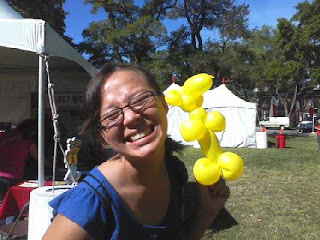 We thought it would be dull but we ended up having a great time! I've also neglected to post about the wonderful BBQ we had in the neighborhood. Lots of fun visiting with neighbors and lots of fabulous food. 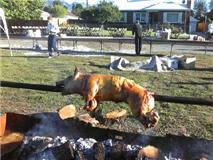 There was even a freshly killed pig roasted on a spit. I prefer my meat to be anonymous and without a face. in Midway, Utah, at Zermatt Resort. I taught a class on how to design your first Art Quilt and the students were wonderful! They all did a fabulous job and I have pictures of them all but I haven't blogged it all yet. I've been busy with work and family and my computer has been stubbornly slow lately. Not to mention it crashed and lost everything. Fortunately I did have about 90% of everything backed up. So one of these days I'll catch up. In the meantime I'll just be a loser. I look forward to your blog. Glad you're back.